This purple dress from PetRageous is comfortable and cute! This comfy dress is perfect for spring weather! 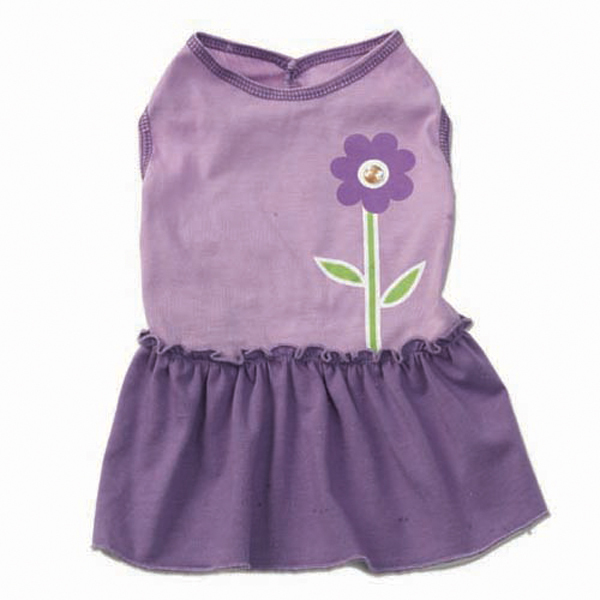 This dress is a soft purple color with a cute flower detailing on the back. Lightweight and comfortable, and easy to put on! Pullover style. A great option for your stylish pup spring and summer weather!